A mechanical breakdown can cost you a whole season, not to mention a lot of money. In addition, depending on the cause of loss, your boat insurance policy may or may not cover it. Just like your vehicle. Keeping up on the maintenance of your engine(s) is key to its longevity. Paying attention to new noises, vibrations, smells, etc. that you did not notice before and having a good mechanic take a look at it can also save you a lot of heartache in the long run. Many boaters in the North East, North West and Midwest are starting to get "geared up" for spring boating season. Now is a great time to go through your checklist and have your engine(s) serviced for the season. As they say, prevention is the best medicine! 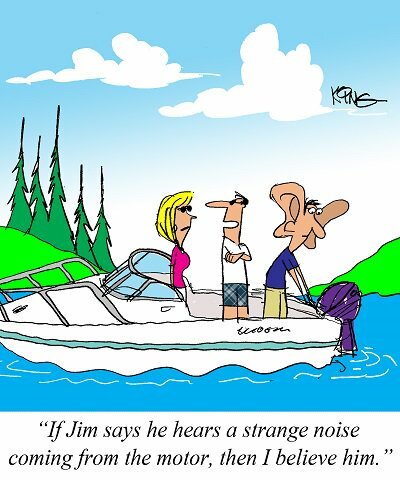 Oh, and don't forget to make sure your boat insurance policy is up to date as well!